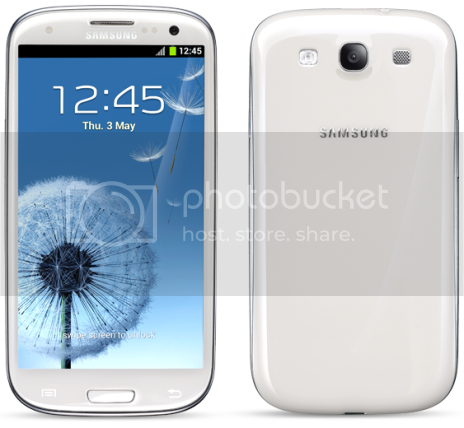 Finally a new galaxy is here...introducing Samsung Galaxy S3 which is is inspired by nature, designed for humans! This 3rd generation of premium Galaxy flagship has certainly been able to garner the kind of pre-launch hype that only Apple used to have. It is undoubtedly the new Android superphone. Can Samsung Galaxy S3 regain its throne from HTC One X and lead the robots to steamroll the new iPhone 5 which will be revealed later this year? I certainly think so. Fronted by a stunningly beautiful, bright colour-rich 720p 4.8 inch HD Super Amoled display, Samsung Galaxy S3 will certainly make heads turn in its presence. 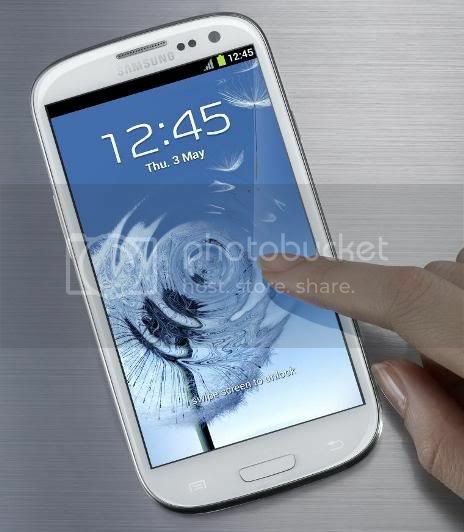 Although it comes with a huge display, Samsung Galaxy S3 measuring 136.6 x 70.6 x 8.6mm tips to the scale at only 133g. I really love the smooth-edged, pebble like design of Samsung Galaxy S3 which makes it really beautiful. Perhaps one of the main reasons that Samsung is able to keep Galaxy S3 so feather light is because it is made of polycarbonate with "hyperglaze" (something that HTC One X is lacking) coating. Do note that 4.8inch HD Super AMOLED display of Galaxy S3 is cocooned in the ultra-durable Gorilla Glass 2 which provides better viewing angle. On top of it is the front-facing 1.9MP camera which is capable of recording HD 720p video. Wow! The front camera alone is already that good? Now we can see the other person more clearly at the other end when are are skype-ing. At the bottom, sits a physical home button which is flanked by capacitive menu and the back menu. There is also a multi-coloured notification LED to notify you on any important calls, sms etc. 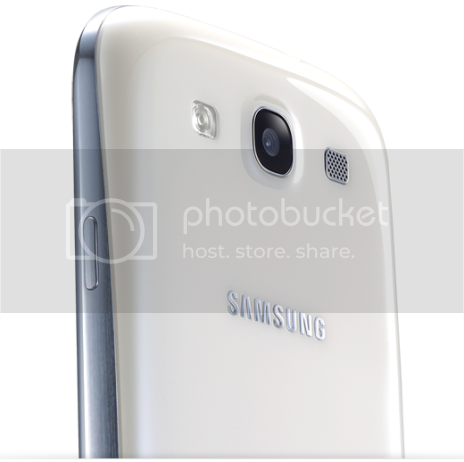 Flip Samsung Galaxy S3 over, you will be greeted by an 8MP autofocus camera, capable of shooting 1080HD video. On either sides of the camera are the LED flash and the speaker. I am a bit disappointed that Samsung didn't throw in a 12MP shooter. So instead of shaking up the camera, Samsung gives a lot of emphasize on the software of the camera. 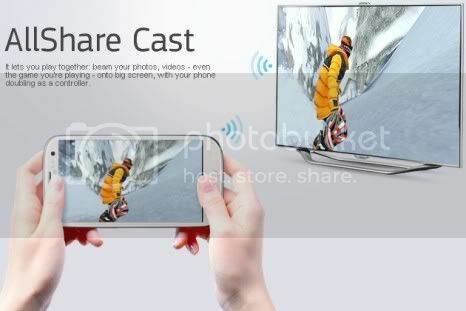 You will be glad to know that Galaxy S3 supports dual still and video capture which allows you to snap still photos while capturing video (similar to HTC One X); face tagging for your existing contacts and improved face identification and tracking. 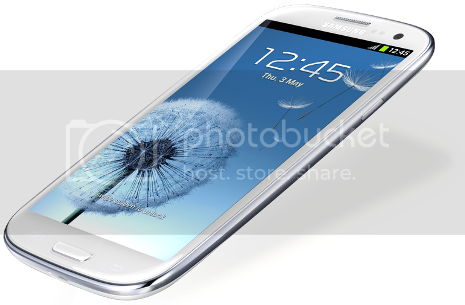 Samsung Galaxy S3 is drop-dead gorgeous, don't you agree? 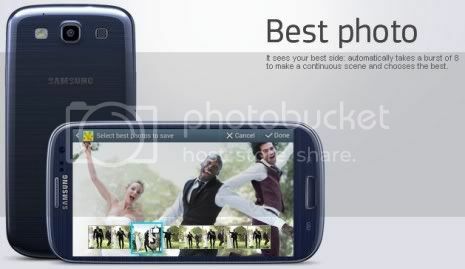 Both 1.9MP and 8MP cameras on Galaxy S3 which can shoot HD videos also offers an amazing Burst Shooting Mode at 6 frames-per-second for up to 20 continuous shots and a new Best Photo mode. With the Best Photo Mode, your cameras can snap 8 consecutive photos (also at 6 fps) of the exact same scene, highlighting the most appealing frame, based on parameters which include the contrast, sharpness and even the subject's expression. Obviously Samsung is putting a lot of money in its photography enhancement department. Choose the best of your priceless moments. 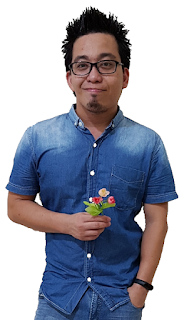 Share photos with your friends effortlessly. Under the hood, Samsung Galaxy S3's heart is its new Exynos 4 Quad 1.4GHz quad-core processor which will consume 20% less power compared to its predecessor. However there will only be 1GB of RAM available, instead of 2GB...which is IMHO a huge letdown. Samsung will be offering Galaxy S3 in 2 different colours (Marble White and Pebble Blue) with 3 different internal storage 16GB, 32GB and 64GB to choose from. I am delighted that Samsung actually include a microSD card slot (support up to 64GB of storage). This is truly a rarity! Now you can access everything at everywhere. Share just about anything in your home. Galaxy S3 will be paired with HSPA+21Mbps. The LTE versions of Galaxy S3 might be using different processing. There will be WIFI which supports direct WIFI and channel bonding, Bluetooth 4.0, DLNA, headphone socket, with NFC connected to the battery unit. 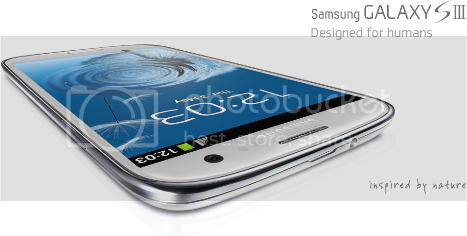 Galaxy S3 will also come with the usual array of sensors such as accelerometer, digital compass, proximity, gyroscope and a barometer. Interestingly Samsung has included a micro USB port which is capable of supporting MHL-HDMI for 1080p HDTV output. Battery life should be good with the 2,100 mAh Li-ion battery. friends’ photos which will show you their current SNS status. 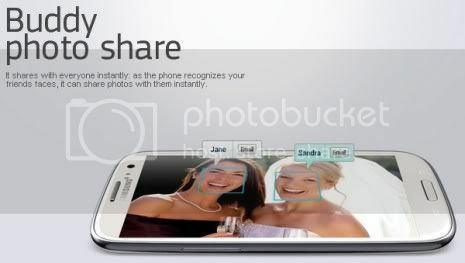 Smart Stay: The front-facing camera of Galaxy S3 will be used for face detection. With Smart Stay, the display backlight will be kept on whenever you’re looking at the phone. That means no needing to repeatedly tap it if you’re a slow reader, and the display will automatically turns off to save power when you look away. 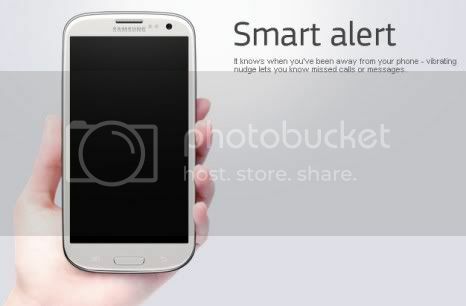 Smart Alert: By picking up Galaxy S3, it will make it gently vibrate if there are missed alerts, showing the new notifications on-screen automatically. So no more excuses for forgetting to reply messages or miss-calls! 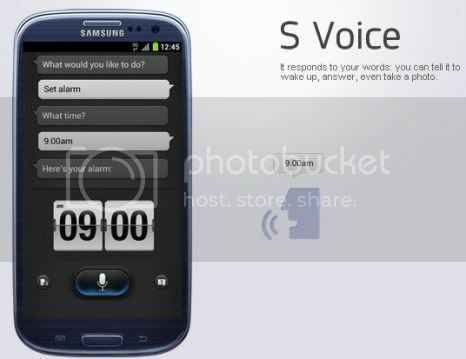 S-Voice: Clearly, Samsung is aiming directly at Apple's Siri. With S-Voice system, you can unlock the phone with a customizable verbal command. You can even ask Galaxy S3 to load apps, set calendar appointments for you, google searches or other tasks simply just by speaking to it. You can even say “Cheese!” to start the camera. With S-Voice, you can skip, go back, play and pause any tracks while listening to your favourite songs. Damn! Will this be better than Siri? 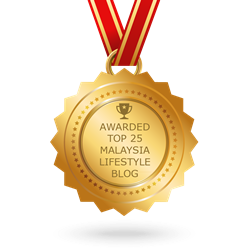 Of course there are tonnes of other features about Samsung Galaxy S3 that I won't be able to share in this post alone. But before I draw the curtains: I have another 2 surprises for those who wanna buy this brand new Galaxy S3. 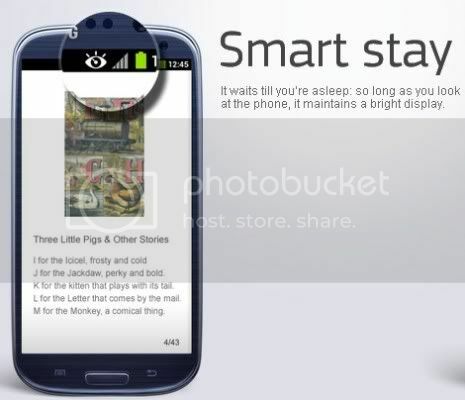 Each Samsung Galaxy S3 comes preloaded with 50GB of Dropbox free storage for two years; Samsung Galaxy S3 will be the first to get the new Android version of Flipboard which pulls in news, Twitter and other content with an easily-navigable interface! Are you impressed so far? I know I am. No specific release dates have been released by Samsung, but European availability is expected from the end of May with North American sales shortly after. I believe Galaxy S3 will reach Malaysian shores at the beginning of the third quarter, probably around June or July. How about pricing? 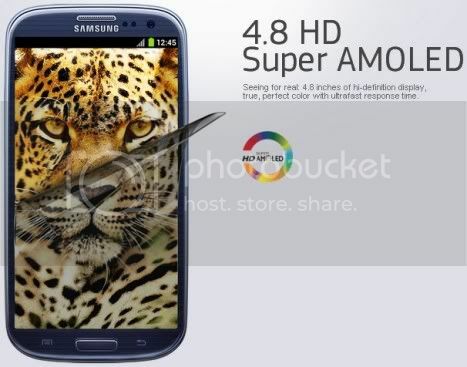 No recommended retail price by Big Sammy yet...but I believe Samsung Galaxy S3 will come with a premium price tag of RM2,099. What say you?